Looking for that great beginners yo-yo at price tag that won't break the bank? Look no further then the Butterfly XT! An exceptional way to get started with bearing yo-yos. 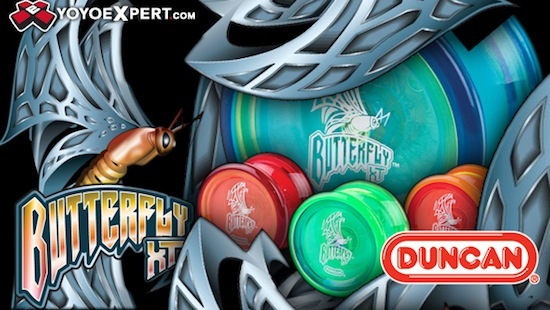 The Butterfly XT is a responsive bearing yo-yo that is great for learning the basic to intermediate tricks on. With a throw it sleeps effortlessly on the string, returns with a slight tug, and can still perform basic string tricks like Trapeze or Double or Nothing! At this price it is a great place to start and learn the basics on! Features a large Size C (.250 x .500 x .187) bearing!